Uptick in ticks this summer? SECAUCUS, N.J. -- A new report has found that the tick-borne illness Lyme disease has been detected in all 50 states, and cases continue to rise. The report from Quest Diagnostics is based on more than six million blood tests taken over the last seven years, CBS New York reports. The New Jersey-based clinical laboratory says cases of Lyme disease have exploded in areas like California and Florida, where it was not commonly seen in the past. The company believe ticks are finding it easier to survive in new regions and spreading diseases to unsuspecting residents. "Our data show that positive results for Lyme are both increasing in number and occurring in geographic areas not historically associated with the disease," researchers wrote in a press release. "We hypothesize that these significant rates of increase may reinforce other research suggesting changing climate conditions that allow ticks to live longer and in more regions may factor into disease risk." Disease-carrying ticks are normally found in the Northeast and cases in those areas are still climbing, as well. Lyme disease cases in Pennsylvania and the six New England states — Connecticut, Maine, Massachusetts, New Hampshire, Rhode Island and Vermont —made up over 60 percent of all positive tests in the U.S. in 2017, Quest Diagnostics reported. Georgia, Arizona, Ohio, Texas, Tennessee and Virginia also saw disturbing increases in Lyme disease cases, according to Quest Diagnostics. Tick bites that infect victims with the bacteria that causes Lyme typically leave a bulls-eye shaped rash at the infection site. Other symptoms include joint pain, weakness in the limbs, and fatigue. CDC expecting severe tick season amid tick-borne disease "epidemic"
Lyme can be treated with antibiotics if detected early. However, severe complications to the nervous system can occur if the infection is not caught and treated fast enough. 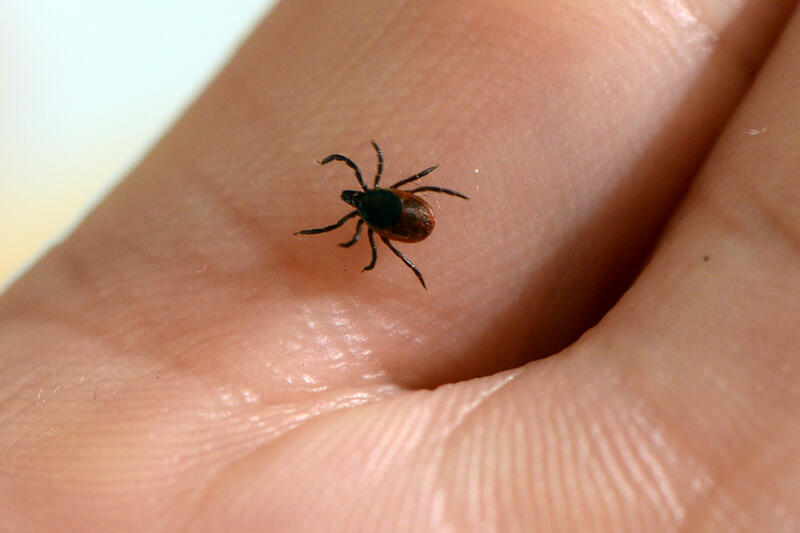 Different varieties of ticks are blamed for spreading other illnesses including Rocky Mountain spotted fever, Powassan virus, and a rare allergy to red meat which appears to be on the rise.